DCXexpo and IFRAexpo was the 48th meeting of the global publishing community. Three days packed with panels, presentations, workshops and pitches. 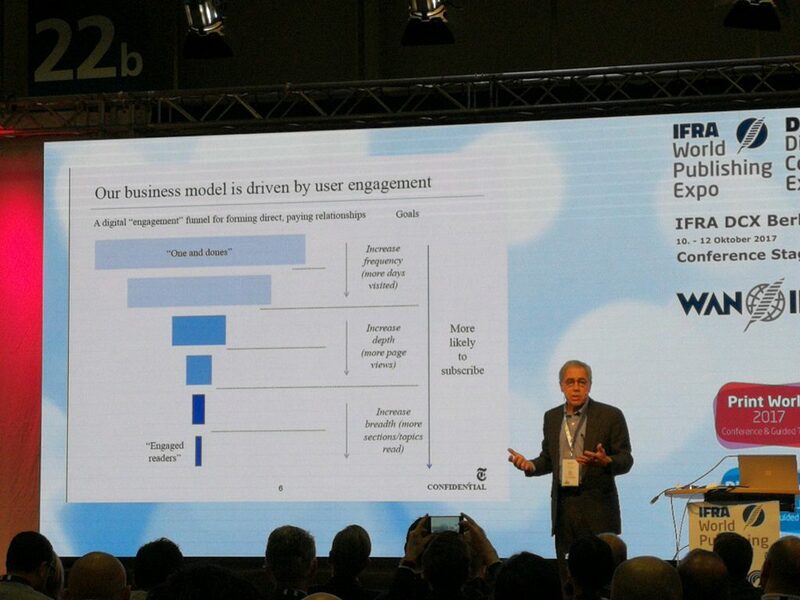 Publishers look continuously new ways how to reach and engage with consumers. 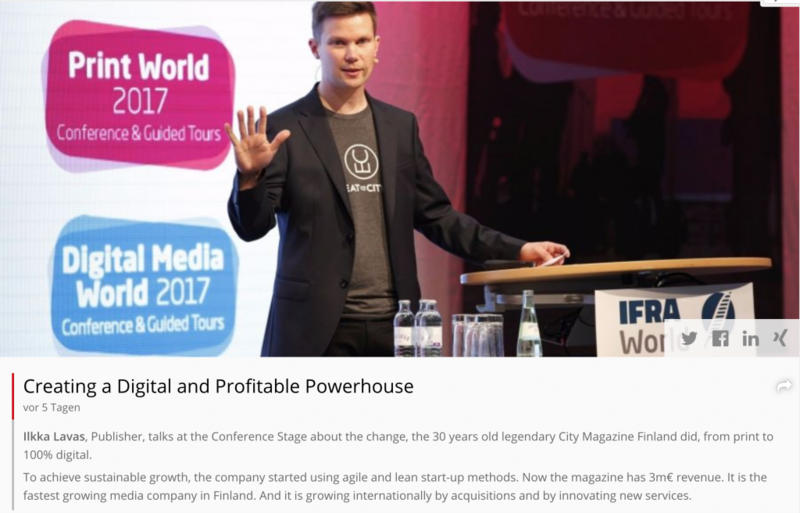 Ilkka Lavas held a speech about the success of City Digital and international growth of EatAndTheCity. Key to success is in understanding consumerism megatrend. In EatAndTheCity this means digital tools and restaurant journalism and experiences has to make restaurant discovery an end to end digital experience; fro how you book, who you invite to how you pay, how you get there, one place. One seamless platform. New York Times is not much into advertising, “You can say that’s good or bad, but we never did that”. Reliable sources to produce reliable news are the most important to increase engagement with your audience, “they have to believe you”. A competitive strategy: NYTimes is a serious newspaper that helps subscribers to understand what is happening in the world. Metrics and goals to examine the increase of subscribers and users and to engage them. When you plan your digital success. Think about your readers and users. Ask yourself: how can I spend more time with my readers. How can I increase engagement and average revenue per user. CityDigital.fi – Improve your daily Urban Life at home and at work.